We selected the best Shepherd’s Hut builder in the country we could find. They have built a hut custom designed for us, to be spacious, very dog friendly and provide easy access. 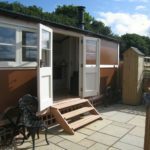 The hut is much bigger than standard ones, and is designed for maximum comfort, use and flexibility; with ensuite facilities. It is fully insulated with double glazing, cavity wall insulation abdsealed doors and windows to be very cosy. You can see more pictures of the hut here. Our welcome pack may vary as we try to include local produce. We always include basics: tea, coffee, sugar, milk, eggs, loaf of bread, butter and jam. More eggs, firewood and charcoal can usually be purchased from us, or from local shops. See our FAQs page for commonly asked questions. If you cannot find the answer there, then please use the form below to ask us a question. Please contact us if you have any queries or go to the availability page if you are interested in making a booking. 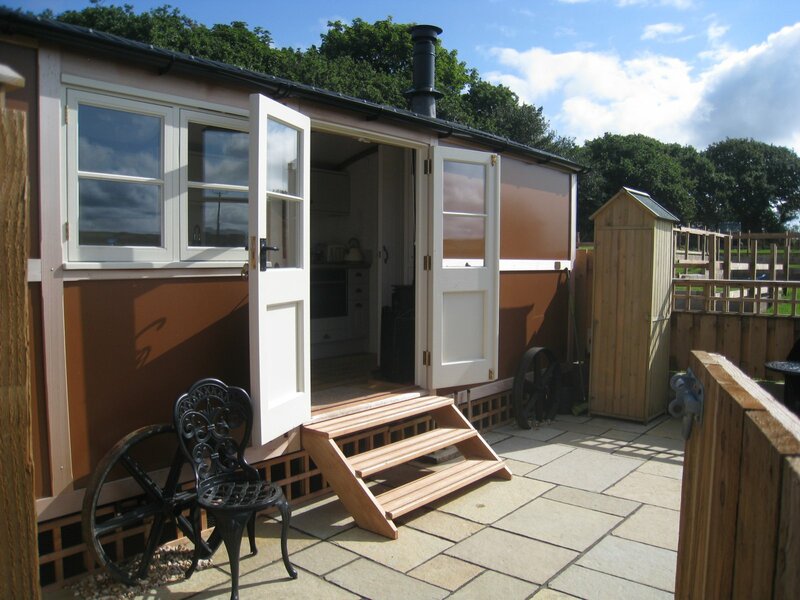 Click here for details on our custom built Shepherd’s Hut. Click here for details on availability, pricing and how to book. We have many pictures of places nearby, dog walks and dogs enjoying themselves. Click on the pictures below to go to them.